Keto Broccoli Cheddar Soup- "Cheesy, Warm Delicious" - Easy! This Keto Broccoli Cheddar Soup is a comforting cheesy dish full of delicious low-carb nutrition to enjoy all year round. Cook it in bulk and keep it on hand to heat and eat. Our Keto Broccoli Cheddar Cheese Soup recipe is very high in electrolytes, sodium, and potassium to keep you at your best. 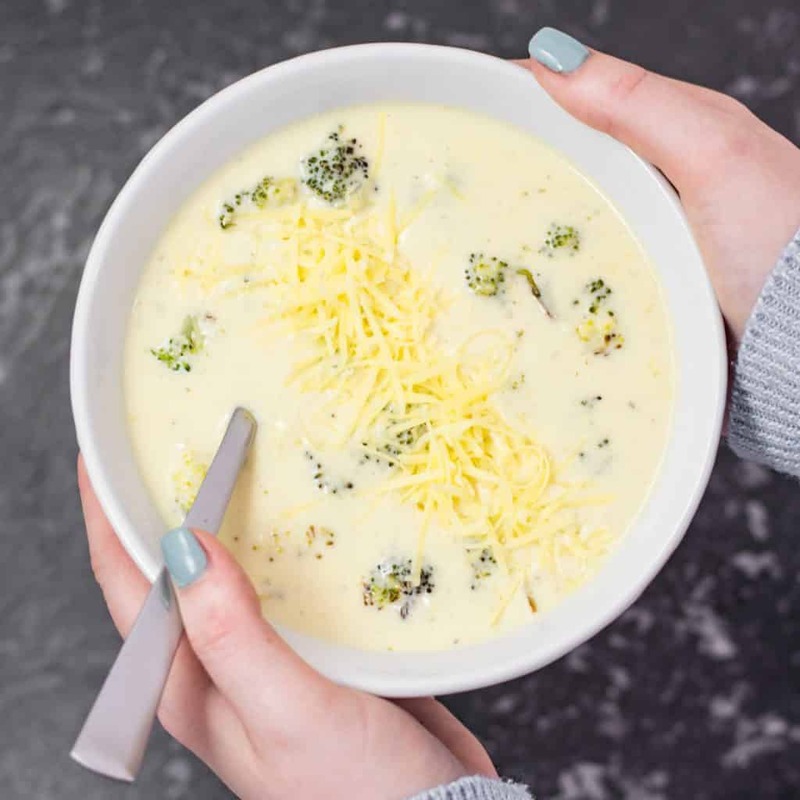 This is a very easy cheese and broccoli soup recipe that will not only deliver a big dose of nutrients but keep you fueled for a good part of the day. The secret to this cheddar cheese soup is the roasting of the broccoli which gives a rich caramelized flavor adding depth and character to the dish. You can forgo the roasting. But in my opinion, the extra time is worth the added flavor in the soup. 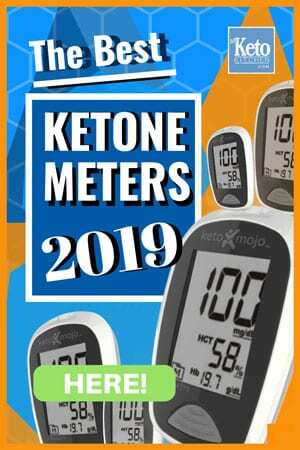 If you’re in the mood for a variety of soup try some of our other great keto recipes. Our Chicken Soup recipe is a hit or our Taco Soup is very popular and closely followed by our Classic Cauliflower Soup. 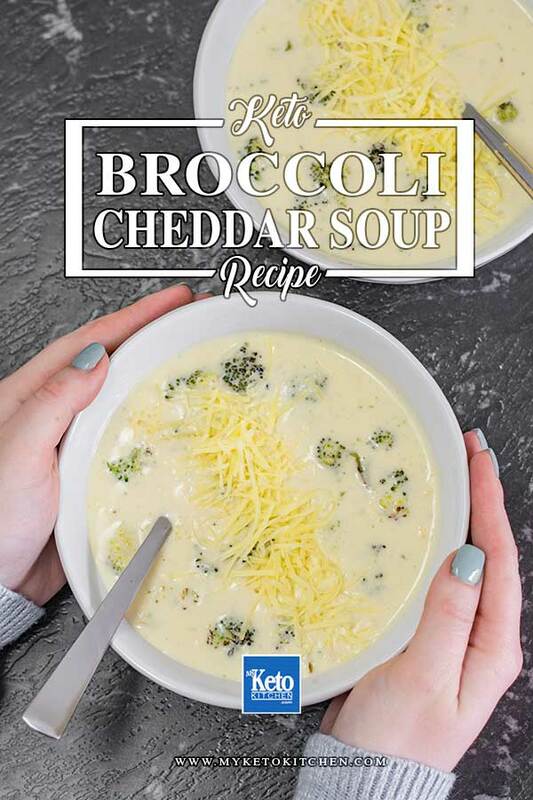 This Roasted Broccoli and Cheddar Cheese Soup recipe make 6 serves of approximately 220ml. Keto Broccoli Cheddar Soup Ingredients – Roasted Broccoli smothered in cheese, yum! Place the remaining oil, butter, onion, garlic, thyme, salt, and pepper into a saucepan over medium heat and saute until the onion turns translucent. Make this broccoli cheddar soup in bulk and simply reheat and serve with some grated cheese when you’re hungry. How Many Carbs Are in a Bowl Of Broccoli Cheese Soup? In a typical bowl of normal broccoli and cheese soup, the carbs can be as high 15 grams around 12 grams net per serving. 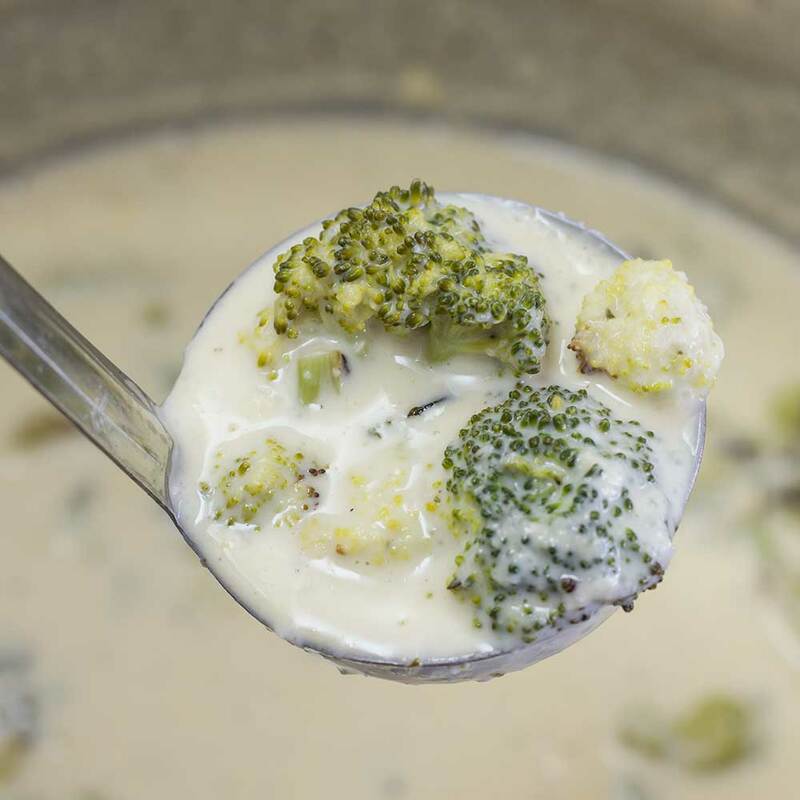 Our low carb broccoli cheese soup has only 3 grams net carbs to a 220g serve. 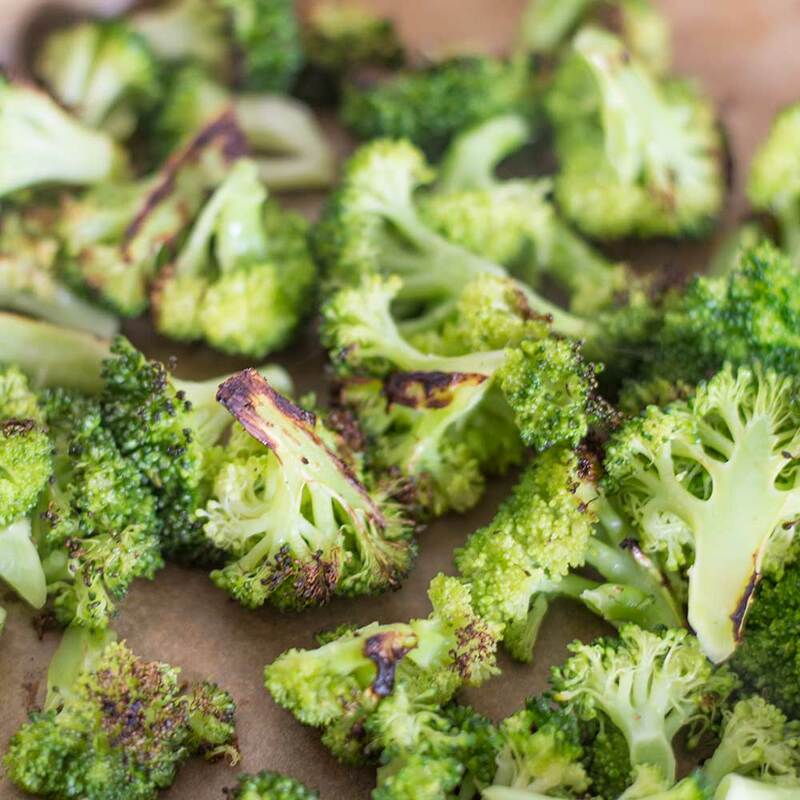 Adding more broccoli or onion will, of course, increase the carb count of your soup. Low-Carb Broccoli Cheddar Soup – this delicious keto soup recipe is easy to make. We make lots of low-carb soups often so stick around and check back often as there are always more on the way. To make a larger batch of this Keto Broccoli Cheddar Soup recipe adjust the serving above. Do you think sudtituting coconut milk for the cream would work? I would choose the Coconut Cream over the milk for the higher fat content, and I think it would work nicely. This soup is FANTASTIC…the thyme and the roasted broccoli really make it!! I blended half of the broccoli in with the immersion blender, and stirred in the rest of the pieces to make it a little chunky. Perfect combo of flavors. I used Kerrygold grass fed butter and aged cheddar, and this was just out of this world good!! !